The prices for information products are largely determined by the product owner. That’s far more freedom than that of a book on the shelf at a major retailer. Print books have to make enough to pay the author, editor, printing, marketing, publisher profit and cut to the retailer. 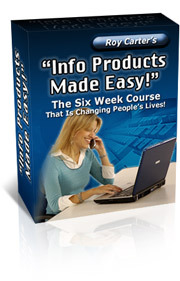 Information products only pay the owner and affiliate sales. No inventory to store, no big upfront costs and if it doesn’t sell, just transfer it to an archive file or hit the delete key. When you consider all of those factors, the information product owner has freedom to set the prices with one exception – what will the market pay? That’s the tricky part. Ebooks are well established in every genre from textbooks to popular topics so the price is dependent on the market and the following of the author. Let’s say you’re starting out and lack that major following, how do you price your product? Start by surveying the prices on comparable information products on at least a dozen sites or vendors. Have you noticed that many information products end in “7?” Popular pricing is $17, $27, $47. This price seems to click with many buyers. Other frequently used price points are $9.95, $19.95, $39.95. The “.95” is borrowing a retailer’s trick of making the price sound less than it really is. After all, $19.95 isn’t a full twenty bucks since buyers tend to ignore the impact of retail tax or shipping. With information products delivered electronically, the $19.95 is the true price, leaving a big nickel for whatever a nickel still buys. It’s not the nickel – it the psychological satisfaction of spending less than twenty dollars. The $17 products have the same appeal of spending less than twenty dollars. Look for the middle ground in pricing. Avoid starting too low or the value of your product won’t be seen as worthwhile. Even if you start slightly higher than comparables, you have room for a price reduction or a “special offer” at the next lowest price point. Think of how many times you see the infamous television infomercials that flash the price as $129 with reductions that end up at $39.95. The buyer gets excited about getting a discount when the product was never going to sell at the inflated price in the first place. It’s about letting the buyer win. Price only matters as part of the equation. Don’t give your buyers a reason to focus on the price. Keep them focused on the product and the excitement of the purchase and they’ll be willing to pay based on the perceived value and not the dollar amount you put on your product. Pay Per Click Account -- Where Should You Start Yours?